Ramayana One Sloka or Eka Sloka Ramayanam is reading the ancient epic Ramayana in one stanza describing all the 7 Kandas of Ramayana. Also known as Eka Sloki Ramayana, this sloka says the story of Ramayan in short. It is believed that reading this single sloka on Ramayan with devotion is equal to reading the whole book. Once Lord Rama went to forest, He chased the deer, Sitha was kidnapped, Jatayu was killed, There were talks with Sugreeva, Bali was killed, The sea was crossed, Lanka was burnt, And later Ravana and Kumbha Karna were also killed. 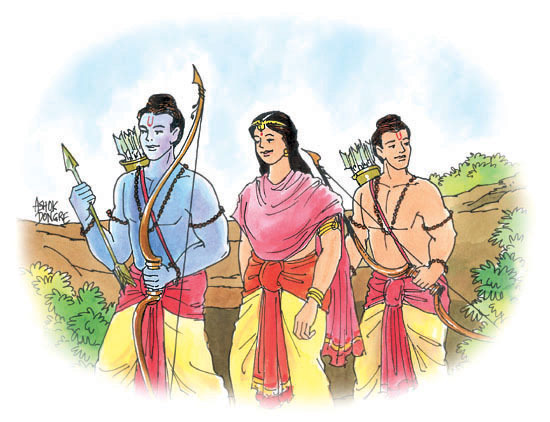 This in short is the story of Ramayanam.